The Waterberg is as fascinating for geology enthusiasts as it is for safari lovers. There are any number of ancient rock formations rising skyward out of the bushveld and deep ravines to explore, the result of billions of years of subterranean activity. This activity included the erosion of sedimentary deposits and the gradual upward extrusion of igneous rocks, many of which contain minerals such as vanadium and platinum. The Waterberg today contains mesas, buttes and some kopje outcrops. Some of The Waterberg’s cliffs stand up to 550 meters above the plains, with exposed multi-coloured sandstone. In 1987, a conversation project was initiated with the help of the South African private sector with a view to consolidating a number of private farms in the Waterberg region and creating an “African wilderness reborn”. This all stemmed from the vision of one man, Pienkes Du Plessis, who owned the original Welgevonden farm in the 1980s. His vision was at root a very simple one: he wanted to remove all trace of human activity from the landscape and reintroduce the animals that had, over time, been lost. Ambitious game relocation efforts and careful ecological management combined with the knocking down of private fences and general restoration of the area to its original natural state have since encouraged a vast array of wildlife to move freely throughout the region. The Welgevonden project was also the first in South Africa to translocate entire breeding herds of elephants. 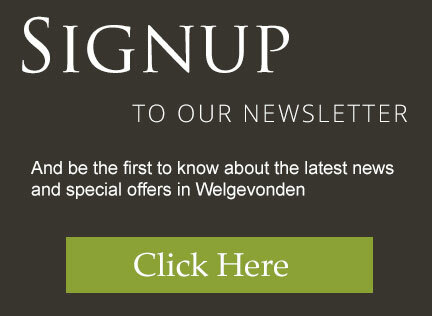 The new combined reserve took on the name of the original farm, Welgevonden, which translates as ‘well found’. 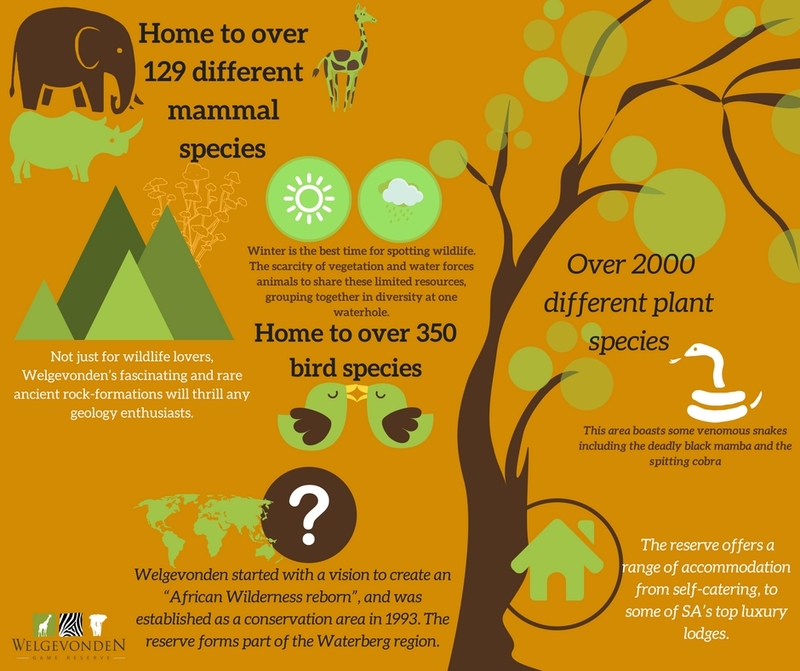 The initial project was completed in 1993 and Welgevonden is now a vast and diverse reserve of more than 37,000 hectares. It forms part of the Waterberg Biosphere Reserve, which was officially declared by UNESCO in 2001, and has become South Africa’s most accessible luxury reserve. But this is only the most recent installment of this region’s rich history. Human occupation of The Waterberg goes all the way back to the Middle Stone Age, Late Stone Age (the San bushmen and Khoi Khoi) and the Iron Age (Bantu); San rock paintings dating back hundreds perhaps thousands of years have been found at two separate sites within the reserve. It wouldn’t be until 1808 that the first white settlers arrived in Waterberg. Then around the mid 19th century a group of Dutch voortrekkers set out from Cape Town in search of Jerusalem and on arrival at Waterberg miscalculated that they had reached Egypt. By the beginning of the 20th century there were still only an estimated 200 western inhabitants of the Waterberg, though their cattle and the loss of grassland they brought about had significant impacts on both local non-white populations and upon native wildlife populations. But visit Welgevonden today and you will certainly find this hard to believe.